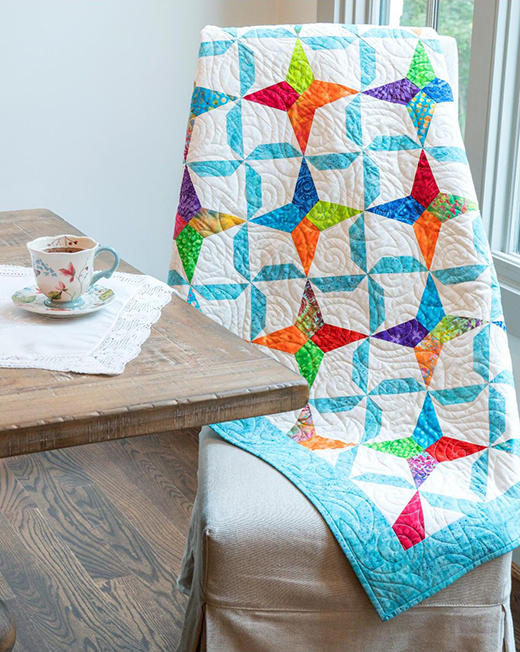 Vibrant colors and a little whimsy make this throw quilt a show stopper. You can almost see the wind making the pinwheels turn. This Pinwheel Kite Throw Quilt designed by Accuquilt, The Pattern is available for free.